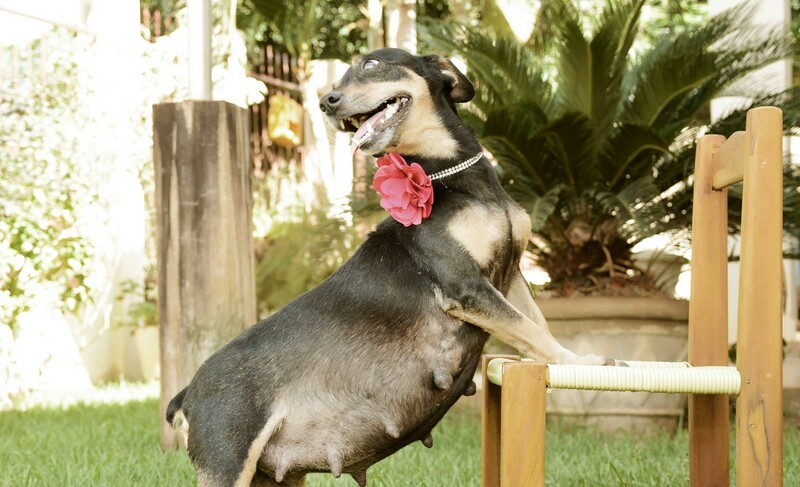 We’re all about gorgeous maternity photos, but we’re pretty sure one dog in Brazil has officially beat everyone. Brazilian photographer Ana Paula Grillo snapped some photos of doxie Lilica totally workin’ it with her fabulous baby bump. Ana explained to The DoDo that Lilica had been rather romantic with the neighbor’s dog, and voila — a litter of dachshund puppies was born. But not before Ana was able to snap the world’s best dog maternity photos. The photographer posted the pics to her Facebook page last week, and the Internet is in total love. It turns out that Ana’s timing was perfect, because the momma pup gave birth to five healthy babies the very next day. And even better, there’s no need to worry about the future of Lilica or her pups. The DoDo noted that she is “very well-loved and cared for,” and that her puppies have each been adopted by the owner’s adult children and their families. Of course, it’s very important to get your pet spayed or neutered, but at least the happiest outcome came of Lilica’s forbidden romance — and we got this glorious photoshoot to put our eyes on.